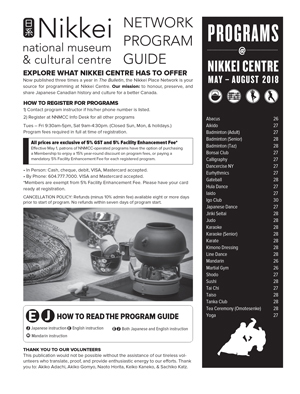 Connect with Japanese culture and language! Effective May 1, patrons of NNMCC-operated programs have the option of purchasing a Membership to enjoy a 15% year-round discount on program fees, or paying a mandatory 5% Facility Enhancement Fee for each registered program. *Members are exempt from 5% Facility Enhancement Fee. Please have your card ready at registration.